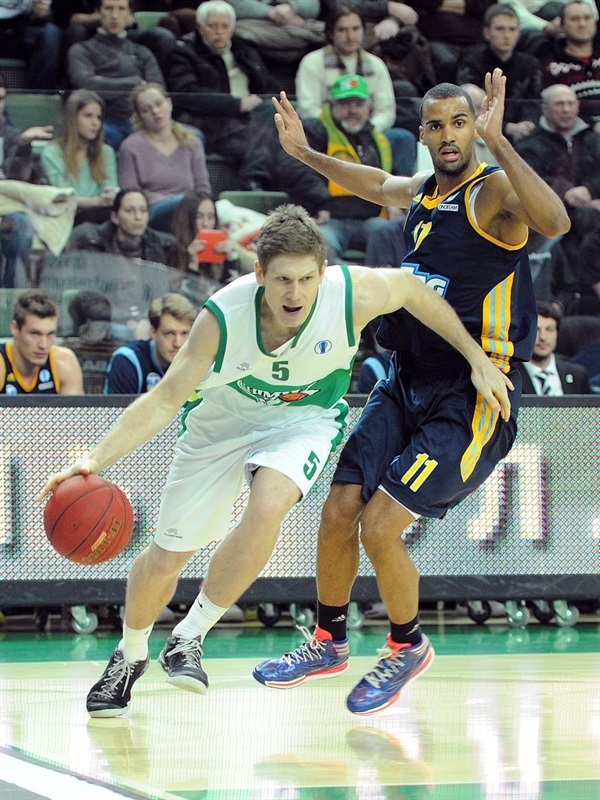 Alba Berlin made it to the elimination rounds by edging Khimik Yuzhne 65-68 in overtime in Group N on Thursday. The game was played on Thursday due to force majeure. Alba could not make it to Yuzhne on Wednesday due to weather conditions. 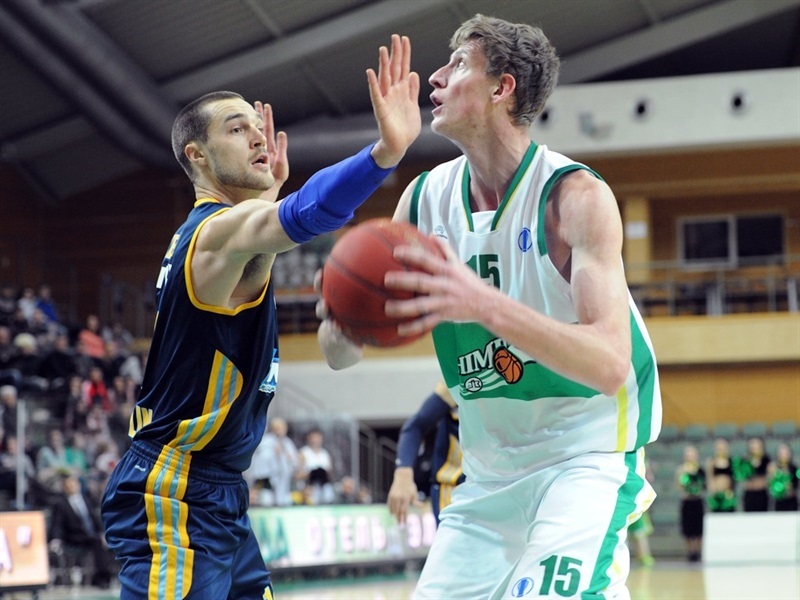 Alba improved to 4-0 while Khimik dropped to 2-2. Reggie Redding paced the winners with 15 points, 8 rebounds and 5 assists. Levon Kendall added 14 points and 11 rebounds while Vojdan Stojanovski had 10 points for Alba. 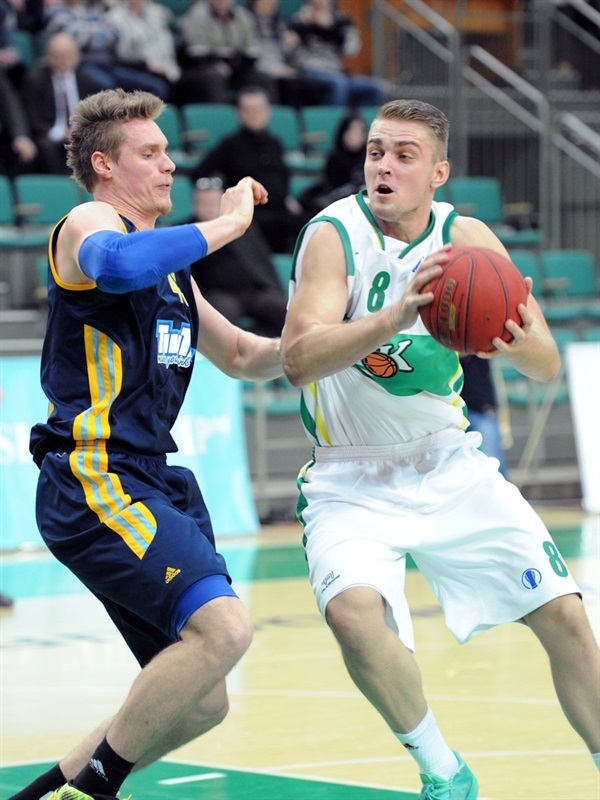 Ronalds Freimanis led Khimik with 12 points. Kendall, Jonas Wohlfarth-Bottermann and a three-point play by Redding allowed Alba to get a 15-18 lead after 10 minutes. A layup by David Logan capped an 0-11 run that gave Alba a 15-26 margin. Paul Delaney, Matt Gatens and Romeo Travis fueled a 10-0 Khimik run that brought the hosts within 27-28. Redding and Stojanovski boosted Alba's lead to 28-35 at halftime. Khimik managed to get within 44-45 at the end of the third quarter and a layup-plus-foul by Vitaliy Kovalenko completed the hosts' comeback, 47-45, right after that. Wohlfarth-Bottermann tied it at 49-49 midway through the fourth quarter but Oleksandr Riabchuk struck twice from downtown in a 9-2 run that seemed to put Khimik ahead for good, 58-51. Kendall, Redding and Jan Jagla allowed Alba to force overtime, 59-59. Jamal Shuler gave Khimik its last lead, 65-63, as Cliff Hammonds, Redding and Kendall allowed Alba to finally return to Berlin with a ticket to the next round. Leon Radosevic got Alba going with a jumper but back-to-back three-pointer by Freimanis gave Khimik a 6-2 lead. 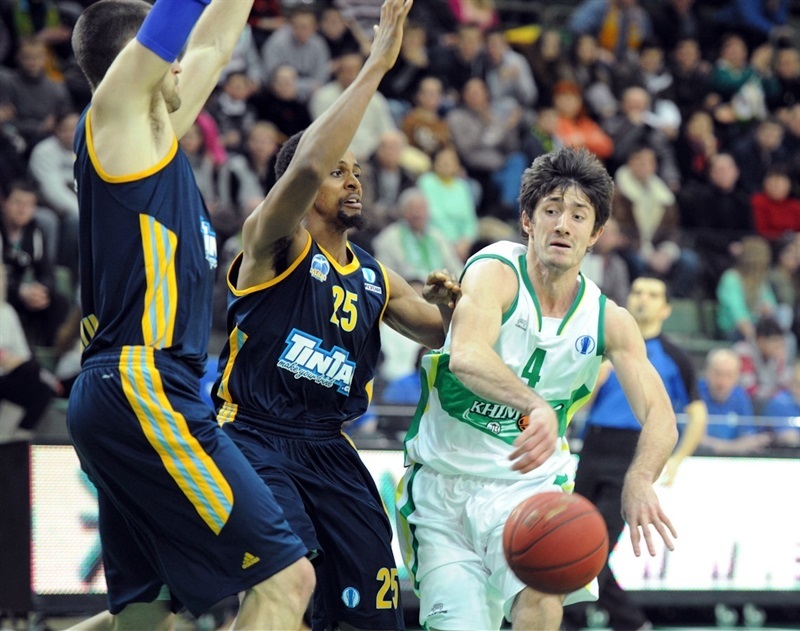 Alex King and Radosevic made free throws, as Alba held Khimik scoreless for more than 4 minutes. Meanwhile, a layup by Kendall put the guests back ahead, 6-7. Freimanis scored again and a layup by Sergiy Popov gave the hosts a 10-7 lead. 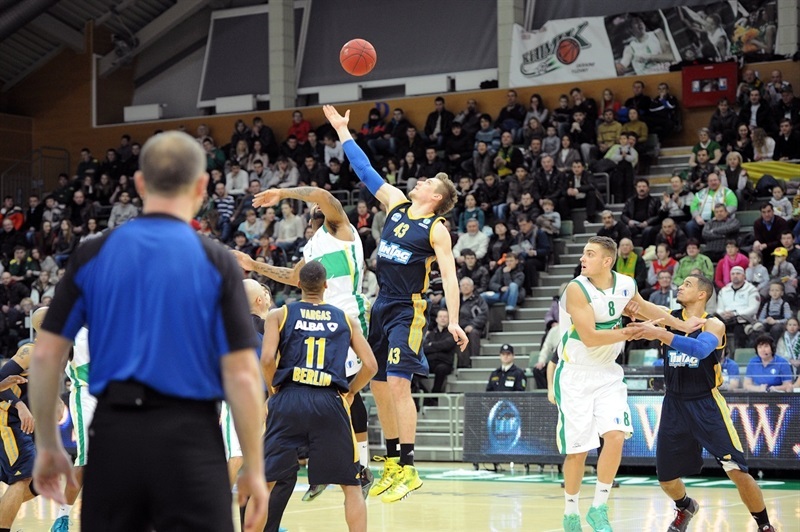 Wohlfarth-Bottermann had 4 points in a 0-6 Alba run that gave his team a 10-13 lead. Popov made free throws, Kendall scored again and a three-pointer by Shuler tied it at 15-15. A layup-plus-foul by Redding gave Alba a 15-18 edge after 10 minutes. Jan Jagla and Stojanovski struck from downtown early in the second quarter and a layup by Logan made it a double-digit game, 15-26, after a 0-11 run. Travis and Radosevic traded jumpers and Freimanis brought Khimik a bit closer, 19-28. Another jumper by Travis made Alba call timeout at 21-28. Delaney and Gatens soon made it a one-point game, 27-28, after a 10-0 run. Alba went scoreless for more than 3 minutes until Stojanovski hit a triple. Back-to-back layups by Redding and Stojanovski boosted Alba's lead to 28-35 at halftime. Both teams struggled to score after the break until Freimanis made free throws. Alba did not score for more than 3 minutes until Wohlfarth-Bottermann split free throws. Artem Pustovyi hit a jumper and a layup by Delaney made it a three-point game, 34-37. Stojanovski stepped up with a layup but Popov brought Khimik even closer, 38-39. Kendall and Kovalenko exchanged free throws but back-to-back baskets by Redding gave Alba some fresh air at 40-45. Foul shots by Gatens and Pustovyi brought the hosts within 44-45 after 30 minutes. A three-point play by Kovalenko completed the hosts' comeback, 46-45, early in the fourth quarter. Kovalenko dunked but Redding stepped up with a layup for a 49-47 Alba deficit with 6 minutes left. 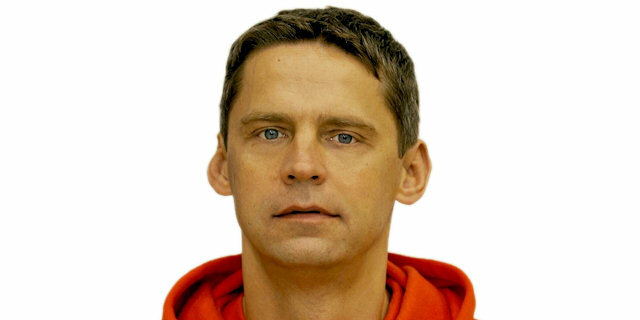 Wohlfarth-Bottermann dunked but Oleksandr Riabchuk did better with a three-pointer. Radosevic made free throws but Pustovyi and Shuler made Alba call timeout at 55-51. A three-pointer by Riabchuk seemed to seal the outcome, 58-51, in the next-to-last minute. Kendall and Redding stepped up in crunch time and Jagla made free throws for a 58-57 Alba deficit. Delaney split free throws and a dunk by Jagla tied it at 59-59 with 6 seconds left. Shuler missed a jumper at the end of regulation. Gatens shined with a put-back dunk early in overtime but a layup by Hammonds tied it again, 61-61. Shuler made free throws, Kendall hit a jumper and Shuler put Khimik back ahead, 65-63. Redding split free throws and Hammonds followed that with a layup for a 65-66 Alba edge already in the final minute. A block by Redding allowed Kendall to make free throws at the other end, enough for Alba to escape with a go-ahead win. "Today was a tough game with a lot of fighting on both sides. ALBA played all the time very aggressively and caused us to make mistakes. But during the game we found the weapon to use against an opponent. All our players off the bench played well and this created difficulties for ALBA. We should have won, but we did not take the right decisions at the end. We had the decisive shot. During the game we led by as many as 8 points, but could not rebound the ball after a free throws, which could have decided the fate of the game. 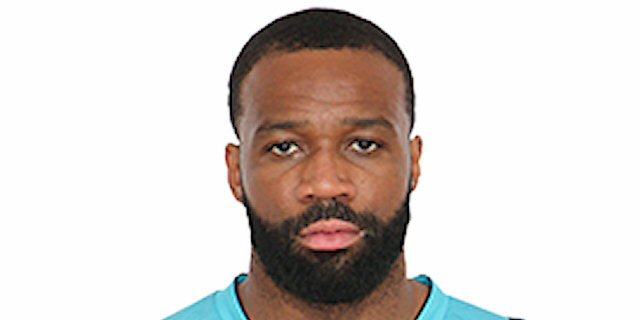 In the end I think it was my fault because I made the wrong decision about who should play the last minutes. I trusted our experienced players, had hoped that they could win, but they were wrong, everyone wanted to be a hero and did not take the right decisions." 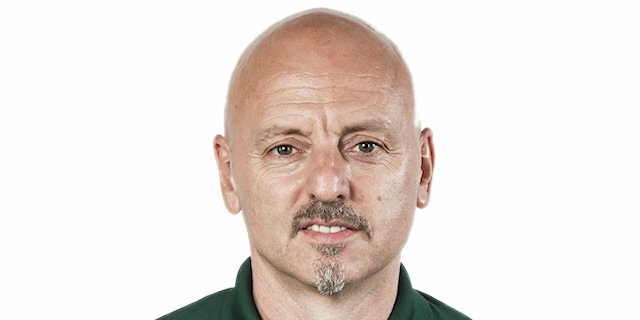 "For us it was a game of character. You see, there were no good two-point and three-point shots, but we did not stop fighting and won the game. And at the moment we are in first place in the group and I'm happy with this. For ALBA it was a good test of character; after such a hard trip to play the hardest game and to be able to win it." "First of all I want to congratulate ALBA. They gave a good gift to their coach for his birthday. We had two problems tonight: defensive rebounds and lack of teamwork." 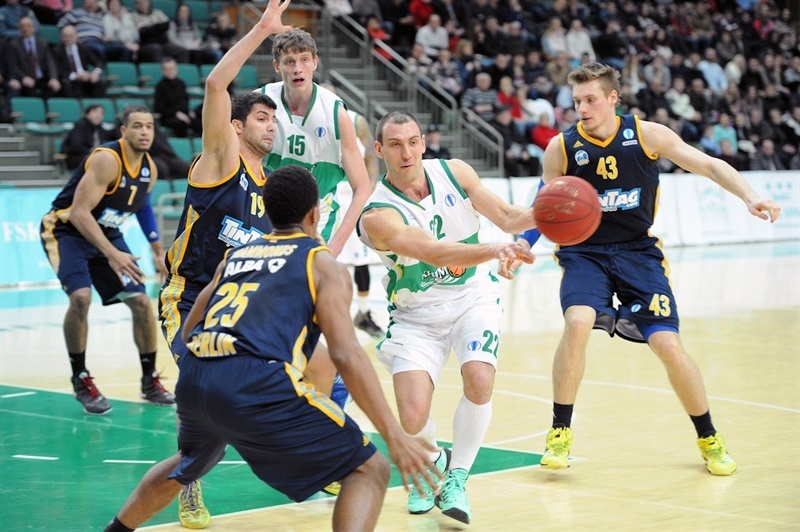 "First of all we were expecting a stronger game from Khimik than in Berlin. In the first game Khimik played without their main guard, Paul Delaney, and with him today it was a completely different game. We were able to fight hard to win after a hard trip. We won, in overtime, but we did it."